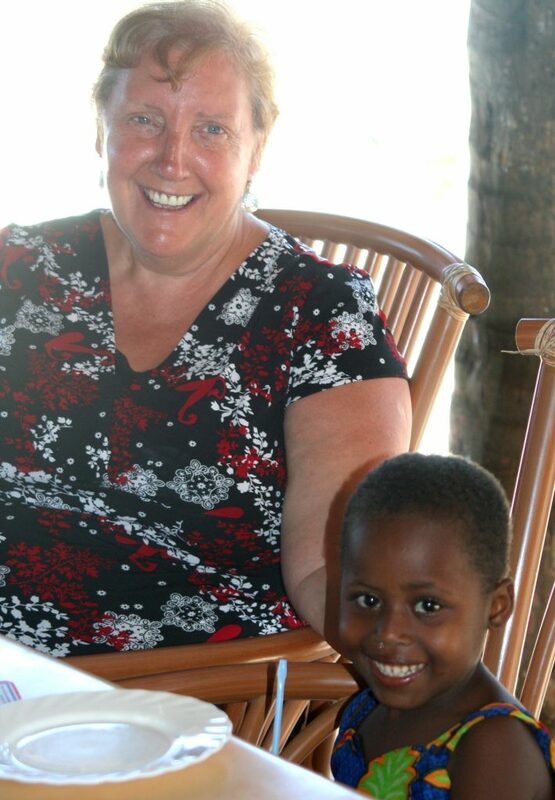 On a trip to Kenya Liz Grant needed a new child to sponsor as the boy she had sponsored previously had finished school. We were busy with the choir when this little girl wandered in from the bush and stood beside Liz staring at her. A few minutes later she was on Liz’s lap and delighted to be there. We discovered her name was Lucy and she was three years old. Liz visited her parents humble home (a one room mud hut with a cover for a bed in the corner and very little else) and met the parents. She explained to them she would like to sponsor Lucy to be educated at Jolaurabi and they were delighted. Liz also promised to sponsor her younger sister when she starts school. Lucy is thriving at school and loving it and her younger sister will be due to start next year. Liz now feels that she did not find Lucy but Lucy found her.